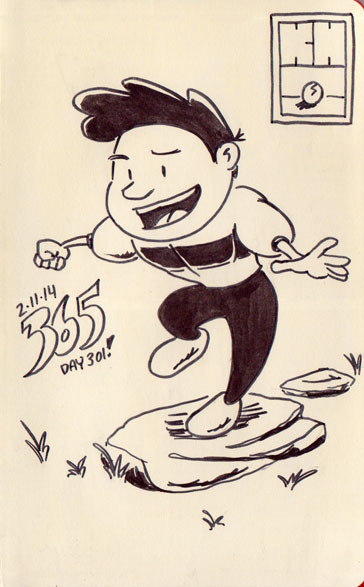 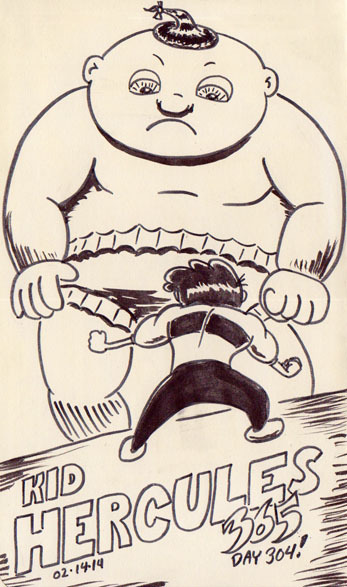 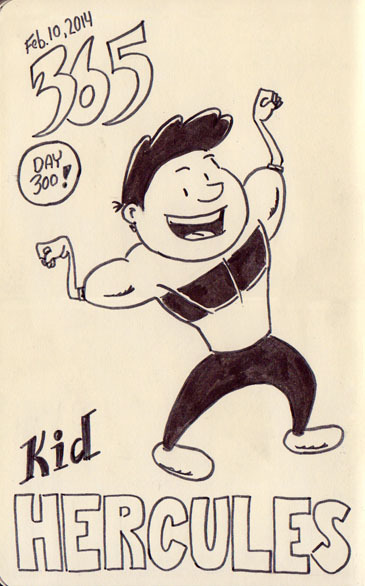 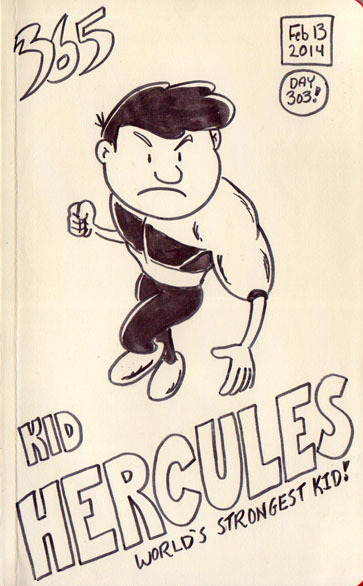 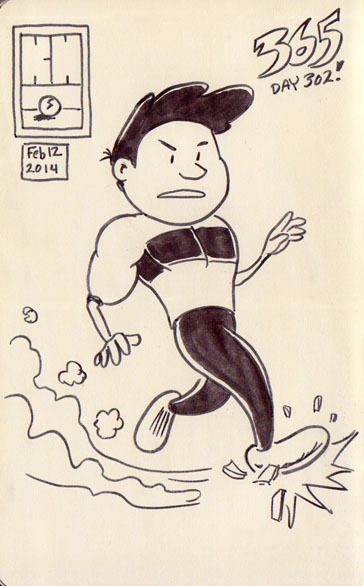 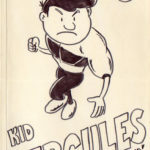 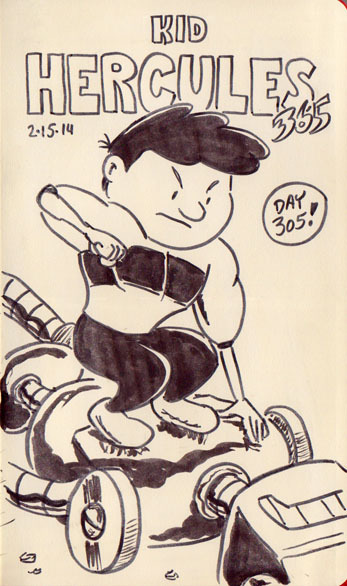 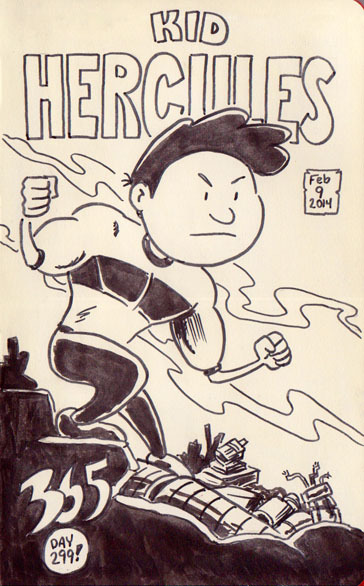 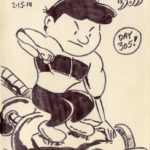 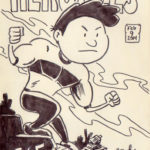 Kid Hercules hams it up for his 300th daily drawing. 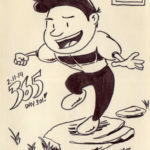 As the end of this challenge draws near, I can’t help but think how grateful I am to have taken it on, and how much I’m going to miss it once it’s all over. 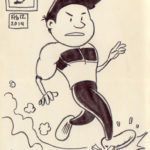 I’ve really learned a lot and grown as an artist in ways I never expected!